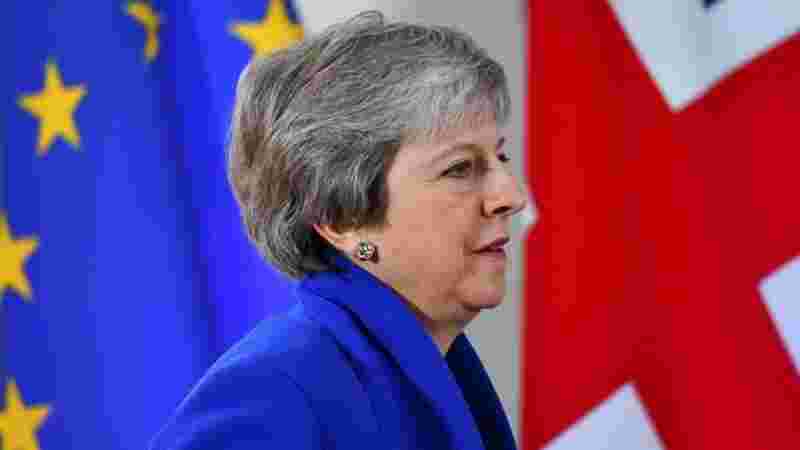 Parliament’s vote on British Prime Minister Theresa May’s Brexit deal will go ahead on December 11, her office said on Thursday, despite a newspaper report that Ministers had sought a delay to prevent a defeat. Ms. May has repeatedly said that if lawmakers reject her deal with Brussels, which would see Britain exit the EU on March 29 with continued close ties, the only alternatives are leaving without a deal or reversing Brexit. The British Parliament is mid-way through a five-day debate on the Brexit deal, ahead of the vote which will define Britain’s departure from the EU and could determine Ms. May’s future as leader. She looks set to lose that vote. Ms. May used an interview on BBC radio to press on with her bid to persuade the lawmakers to back her deal. “There are three options: one is to leave the European Union with a deal... the other two are that we leave without a deal or that we have no Brexit at all,” she said.